In this video, we are going to talking about cleaning golf clubs and here in the video we have a pitching club that is a little dirty as you can see here. All golf clubs have groves along the face and these grooves are there for a reason. The reason that these grooves are on the face of your golf clubs is to help spin the golf ball. Cleaning your golf clubs is a very important part of the golf game. After hitting your shot on the golf course, the club is going to get plenty of dirt in it and that dirt needs to be removed. It is always best and advisable to remove the dirt from the grooves of your golf clubs as soon as possible to avoid it gathering and setting hard. 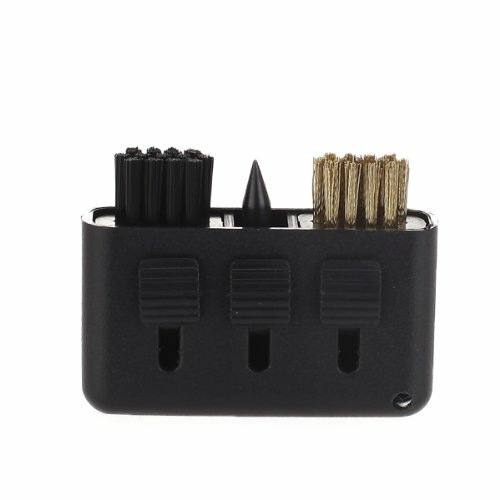 Take a wire brush, which you can get at any golf shop or hardware store. Once you have played your shot, simply take your brush and run it along the grooves to clean out any dirt. After all the dirt has been removed from the grooves, you can take a damp towel and brush off the remaining dirt from the golf club. When you are cleaning your golf clubs, it is good to have a bucket of water and a good brush. 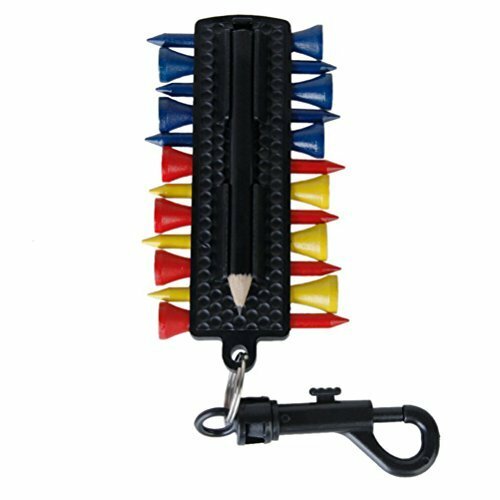 Many golfer use brushes with metal wires and also have them attached to their golf bags for easy use if needed on the golf course. First, dip your club in the water and then wipe the dirt off with a clean towel or similar. It can sometimes help if the you use a damp cloth as this can help wipe off any excess dirt from the club face. However, remember that the most important thing when cleaning your golf clubs is to ensure that you get all the dirt from out of the grooves. 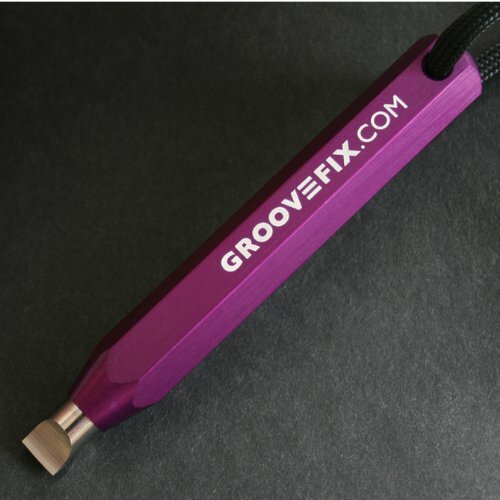 A good trick to getting the dirt from out of the grooves on your golf club is to simply use a Golf Tee. 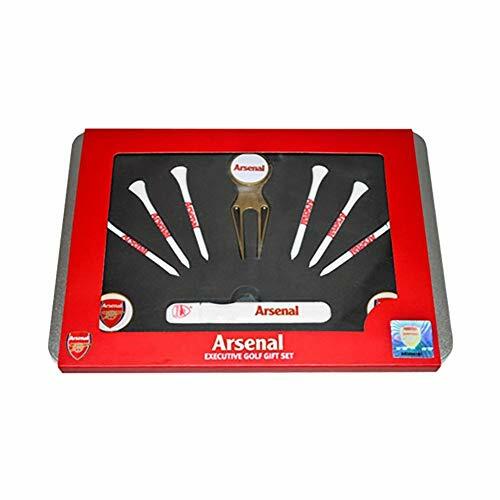 Take your Golf Tee and place it into one of the grooves and then just repeatedly run the TEE back and forth along the groove until the dirt has been pushed out. Repeat this process along all of the grooves of the face of your golf club. Once you have run the Golf Tee along all the grooves and all the dirt is out of the grooves, simply dip your golf club face into the bucket of water and rince the club to wash off any excess dirt. Take the club out of the water and then wipe it dry. Repeat this process with all your golf club and you will have a clean set off golf clubs that are ready to go when you next go for a game of golf. Washing your golf club on a regular basis will help maintain your golf clubs and stop them from gather more dirt which can become hard to clean. Cleaners: wire brushes and nylon bristles that provide the most thorough cleaning of your golf clubs in a few minutes. 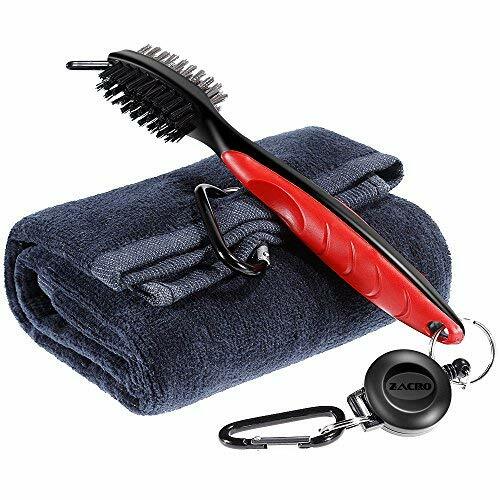 Extends up to 7.5 cm. 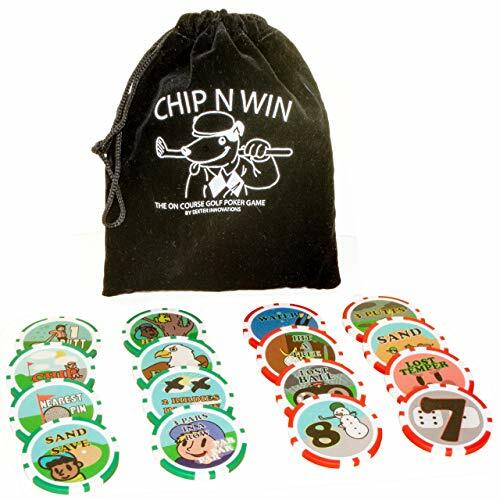 Dexter Innovations CHIP N WIN: THE ON COURSE GOLF POKER CHIPS GAME: Amazing fun that keeps you playing right until the end. This game will keep the banter going in to the 19th! 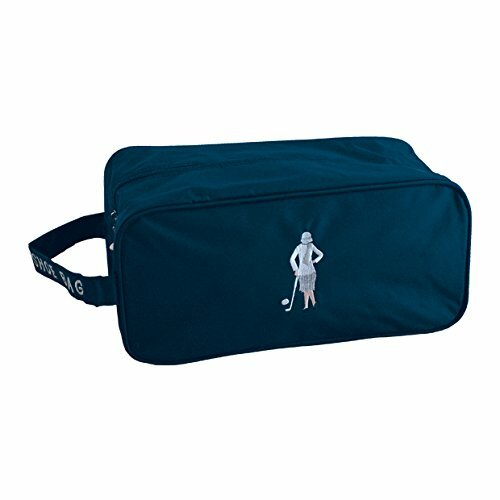 Embroidered Navy Lady Golfer Shoe bag Put dirty shoes away in this shoe bag so you don't get you car, bag or locker dirty! Material: Plastic. Length of Tee: Approx. 2 18 inch 54mm.